On October 18, a 9th public lecture took place at the Department of Intangible Cultural Heritage of the National Research Institute for Cultural Properties, Tokyo. The lecture was held in Heiseikan of the Tokyo National Museum. The topic of the lecture was “Michiyuki as Popular Songs: The Origins and Spread of Noh and Kyogen songs with a focus on ‘Kaido-kudari.’” Michiyuki, or a song describing sceneries seen along a journey, have long captured people’s hearts and have become popular songs. 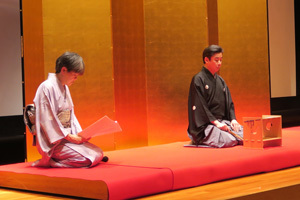 Led by a lecture by OKADA Mitsuko of the Osaka Institute of Technology, the public lecture dealt with how Michiyuki influenced Soga (ballads popular among nobles, samurai, and Buddhist priests that were popular in the Kamakura Period), Noh and Kyogen songs, and Michiyuki that have been passed down until today. 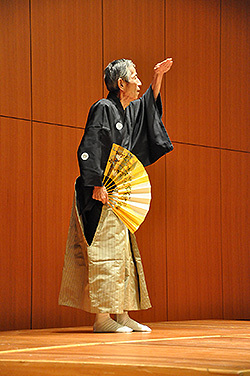 In the third portion of the public lecture, SATO Tomohiko (an Izumi-style Kyogen actor) and ASAKURA Toshiki (a Hoshu-style Noh actor) performed chants and komai (lit. small dances), which were well received by lecture attendees. An earthen hand drum which had been found at the Baba Minami site in the City of Kizugawa, Kyoto Prefecture was studied. Until this hand drum was unearthed in 2008, the only ceramic hand drum in Japan was the tricolored drum in the Shosoin (the treasure house of the Todaiji temple in Nara). It is clear that they were used in the almost same time, in the late of 8th century. The discovery of this hand drum has great significance in terms of the history of musical instruments. The reconstructed drum is described in a 2010 report and in an article by Ms. MATSUO in the bulletin of the Kyoto Prefecture Research Center, but the descriptions differ. Ms. MATSUO explained the reason for this discrepancy. Examination of the drum indicated that different reconstruction techniques may have been used in the report and in the article by Ms. MATSUO. Plans are to study the drum further and compile theories on ancient ceramic hand drums. On December 8, the Society to Preserve Yamaguchi’s Sagi School was invited to present a public lecture at the Heiseikan. 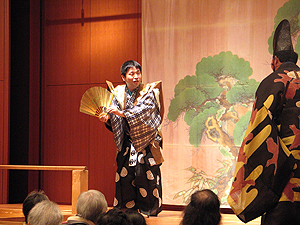 The lecture was entitled “Carrying on Yamaguchi’s Sagi school of Kyogen (traditional Japanese comic theater): Recordings in the Department of Intangible Cultural Heritage of the National Research Institute for Cultural Properties, Tokyo.” The Department of Performing Arts, the predecessor of the Department of Intangible Cultural Heritage, began recording the Yamaguchi’s Sagi school of Kyogen in 1958. The performer is now deceased, and the recording features many pieces that are no longer passed on. While enjoying and analyzing these pieces, attendees discussed the future preservation of Yamaguchi’s Sagi school of Kyogen. 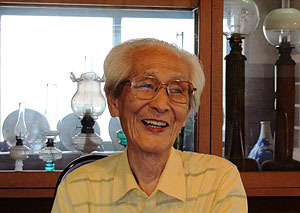 Attendees also enjoyed Miyagino and Busu, both of which have been passed on. The Sagi School is a style that disappeared from central Japan during the Meiji Era, and its pieces are seldom performed in Tokyo. Attendees expressed great thanks for this meaningful opportunity. The second research exchange between the Department of Intangible Cultural Heritage and the South Korean National Research Institute of Cultural Heritage has begun according to the agreement signed last November. 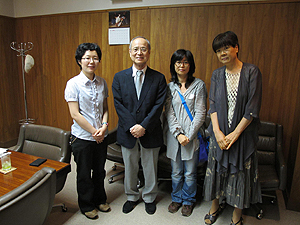 Following TAKAKUWA’s research in Korea in May, Ms. Lee Myoung-Jin, a researcher from Korea, visited Japan in July, and conducted research on Kyogen for a month. The ideas regarding intangible cultural heritage in Korea are different from those in Japan: the Korean ICH does not distinguish important intangible cultural properties from important intangible folk cultural properties, as they do in Japan. Most performing arts in Korea can be categorized as important intangible folk cultural properties under the Japanese classification system, and also the basic idea of “what is traditional?” differs from Japan to Korea. Thus, it is necessary to learn the differences in order to compare performing arts and their protection systems. However, during her visit, Ms. Lee seems to have deepened her cognizance of the meaning of tradition in Japan while interviewing the Kyogen performer of the Izumi School. 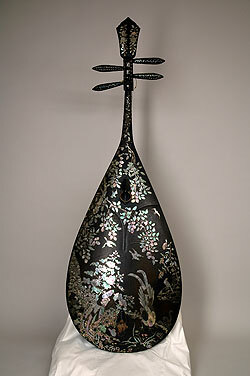 The instrument has mother-of-pearl inlay on its back, which Mr. Tomio KOIKE of the Tokugawa Art Museum identified as a technique from Ming Dynasty China. However, the trunk of the biwa is plumper than other popular biwa from the Ming Dynasty, so this biwa is thought to belong to the Nan-pi Biwa tradition from south China. A bridge of this biwa, a part that was specific to Chinese biwa, may have been taken off in order to perform Japanese music. Plans are to conduct further studies by comparing this biwa to biwa in China. The Research Centre for Japanese Traditional Music at Kyoto City University of Arts has been working on a project entitled “Recording Kyo-kanze” since May 2011. 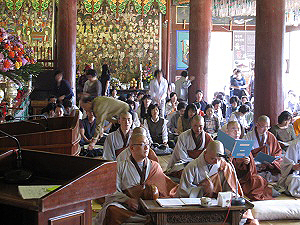 The Centre held a public lecture on “The tradition of Kyo-kanze: What can be gleaned from its records and memories” in February 2011 celebrating the 130th anniversary of the founding of the university. In conjunction with the lecture, Ms. Takakuwa, head of the Intangible Cultural Properties Section, participated in the project. Kyo-kanze is a traditional Utai (Noh chant) unique to Kyoto that survived until the mid-Taisho period. 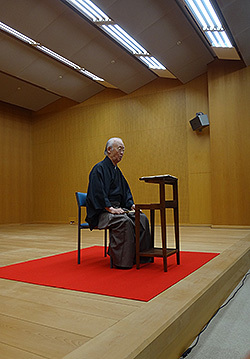 The form of Noh chanting is no longer practiced, but 50 years ago the Department of Intangible Cultural Heritage recorded Kyo-kanze and 30 years ago the Department used those recordings to help produce records. As the repository of these materials, the Department of Intangible Cultural Heritage will continue working with the Research Centre for Japanese Traditional Music to revive the tradition of Kyo-kanze. The Department of Intangible Cultural Heritage held an annual public lecture at the Ishikawa Prefecture Noh Theater on December 12, jointly hosted with the Kanazawa University integration project — Japan-China cultural heritage project. Kanazawa City has the character of a locality where Noh has flourished since the Edo Period, and the Hosho-style Yokyoku and Izumi-style Kyogen are performed. 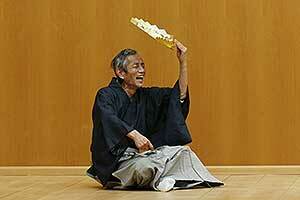 We spotlighted the Izumi-style Kyogen this time. 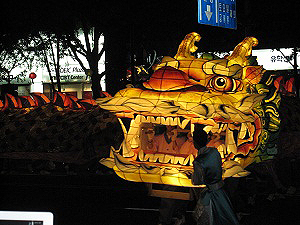 The tradition varies greatly between Kanazawa and Nagoya, even though the style is the same Izumi. We gave a lecture on the historic background and difference in actual performance, and asked the performers to act out a kyogen based on their different traditions. Although the audience was small, unlike in Tokyo, there were many ardent listeners, and the performances were well received. 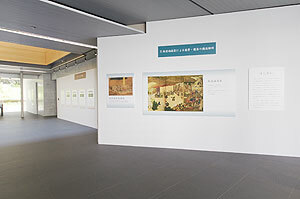 The Institute periodically exhibits panels at the entrance lobby so that all visitors can see our research results. 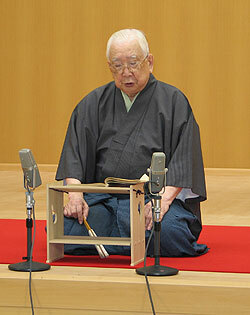 Starting at the end of March, we have been introducing the results of radiography study on flutes used in Noh, Nohkan. The Nohkan delivers a unique sharp tone: To do so, the inner diameter between the mouthpiece and the first ventage has been narrowed as an artifice. The subsequent crafting technique was conventionally known: An additional material called “nodo (throat)” was inserted into this portion to narrow the inner diameter. However, X-ray photography discovered several old Nohkan flutes whose inner diameter had been narrowed without inserting “nodo”. 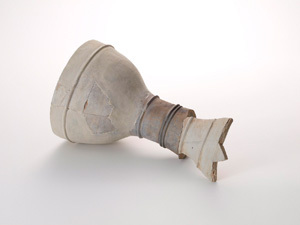 One researcher put forward the view that Nohkan was derived in the process when a broken Ryuteki was repaired by inserting a tenon. However, this theory must now be revised as a result of this X-ray photography conducted. With this exhibition, we are making preparations so that the sound from an old Nohkan can be heard, and we are also exhibitingthe X-ray photo of the Ryuteki housed in the Buddha statue in the Kamakura period. We are very happy that this exhibit allows people to actually hear Japanese traditional music.